Kofi Amegashie holds a BSc. In Chemical Engineer and completed a Masters degree in Management with the Sloan programme at the London Business School. 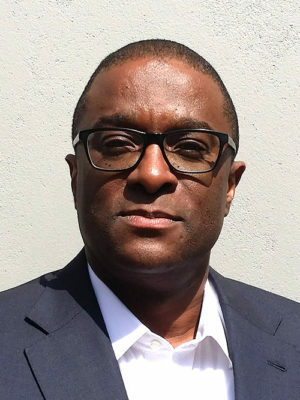 Kofi has over 25 year’s business experience with Caltex Petroleum Corporation, Shell International Petroleum Company and the International Finance Corporation in a variety of functions in the USA, UK, Southern Asia, Australia, India and Sub-Saharan Africa. He worked for the Coca-Cola Company as Director of Consumer Marketing, Strategy & Business Planning in 2006, spending 3 years in Nigeria and left Coca-Cola to pursue a life-long dream to learn to fly light aircraft and earn himself a Private Pilot’s Licence. Kofi returned to the corporate world in July 2010 with the financial services firm Alexander Forbes as MD, Rest of Africa. He then served as Managing Director, Africa with JSE-listed Adcock Ingram Healthcare. In February 2016, Kofi was appointed Executive Director at the Africa Leadership Initiative.